Christian discipleship comes in all stages. Is discipleship what you are or what you do? What does it mean to go out and proclaim to all nations that God does exist? How can we be disciples while still leading a life as a single man or woman, as a married couple, as a mom, dad, grandparent? In this podcast, we will look at the practical application of being a disciple and ways to make it happen, even if only in our own homes. Thanks to our sponsor – the Well Planned Gal and the Bible Planner! 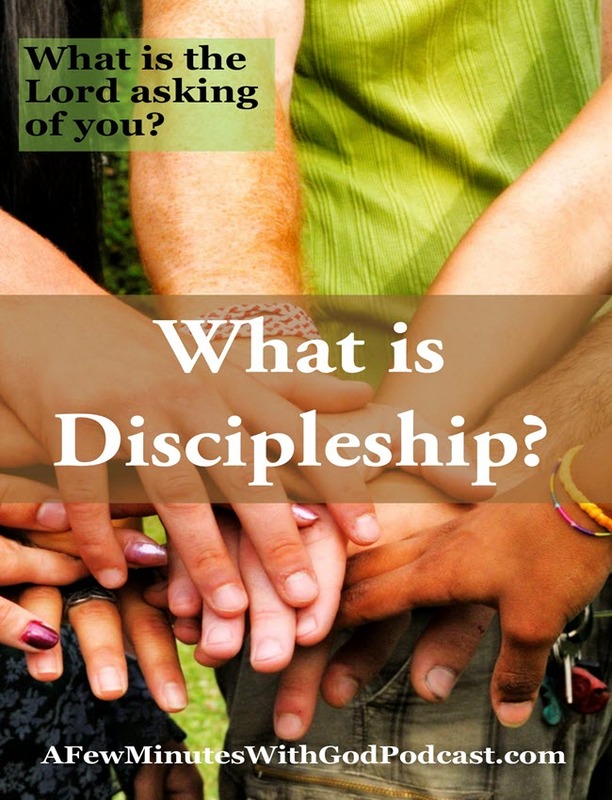 What is a true disciple? The answer to that question may be different for each one of us. A disciple is someone who follows the Lord’s path for their life, who brings others to Christ and whose mission is to live a life that is holy. However, how do I make this work in my life? When I think of the disciples I think of the original twelve and immediately I am in awe as I contemplate what it would mean to walk with Jesus — can you imagine? Walking with the Lord and learning from Him as he teaches can happen today, and the way we do this is by reading the Bible, and one verse we will discuss today is the book of Matthew. There is so much information is contained in these words. I wonder how many of the disciples asked Jesus question after question after he spoke. One of my favorite verses is this, Matthew 10:30 “But the very hairs of your head are numbered.” Can you imagine that the Lord knows the numbers of hair on our heads? This is not a God that is far away, or uninvolved in our lives. No! This is a God who is very much aware of us on a personal level. How can we not want to serve a God such as this? One who realizes that we struggle against those who hurt us, one who says that even if our body is harmed, our soul will remain unharmed because we belong to Him. Do you belong to the Almighty God, the Father? The Son? And the Holy Spirit? Do you offer your day to God? Do you ask Him how you can best serve? As disciples of Christ in our own home, we can lead by example, preach without words. How much better for us to show by reading the Bible to our children or reading our Bible in front of our children instead of telling them to do something they don’t see us doing. We are not all lead to be missionaries, to preach in foreign lands — but some are definitely called. They may decide to become a clergy, a priest, a nun, a pastor of a Protestant denomination or to go on the mission field. For others, we may be lead to donate money toward this cause through our church or a group or organization. Being a disciple is so much more than believing it is showing through actions. Think about how you can serve the Lord the best. Ask Him into your life if you have not already and ask Him how you can best serve.